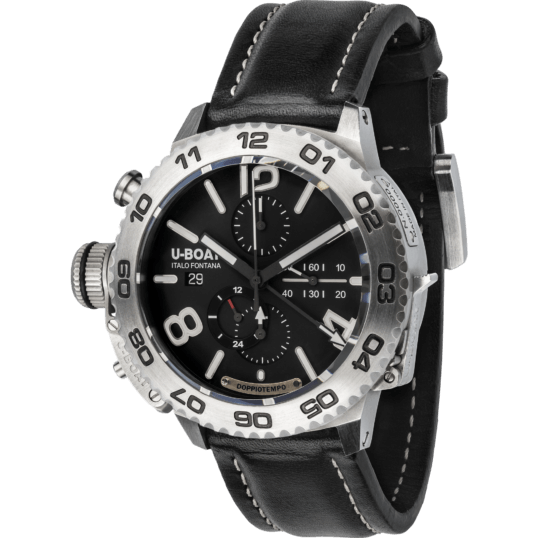 as by U-BOAT specifications. Frequency: 28,800 vibrations per hour, 4 Hz. Power reserve: 48 hours. 25 jewels. three superimposed dials, black. Arabic numerals, white, with superluminova treatment. Steel frames around numbers and markers. White hands, superluminova treated.